If you want to do something well, find the right tool for the job. 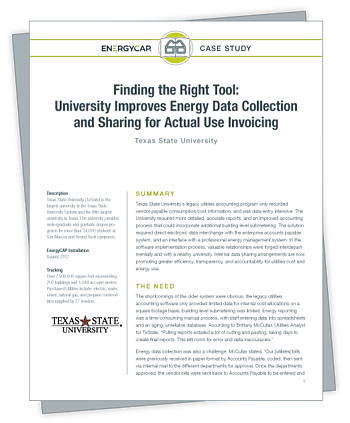 Texas State University’s legacy energy management system wasn’t doing the job. Data limited internal cost allocations to a square footage basis. Reporting required cutting and pasting from multiple sources. Utility bill-based processes were inefficient and time-consuming.